The country which is also known as “The Land of Rising Sun” has a lot of tourist attractions. It is the most saturated country which has its own culture and traditions. City, night lights, shopping, festivals, temples of Japan attracts most of the tourist. Food and drink (especially Yebisu beer) attract most of the traveler to visit Japan. Being an Indian if you have a desire to travel to Japan then you to apply for Japan Visa for Indian. To visit Japan first of all Indian has to apply for short-term visa or tourist visa or temporary visa. A short-term visa helps them to visit and stay there for at least 90 days for purpose of tourism. How to apply for Japan visa for Indian? Applicant has to provide all the required important documents and fill up application form complete with signature, along with two recent photographs which are not more than six months old. Pay visa application fee as required for Japan Visa by Embassy of Japan. Submit visa application form at the nearest Embassy of Japan. 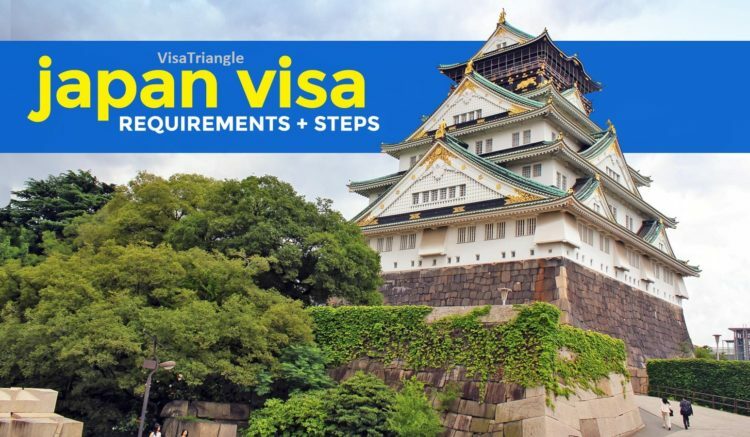 Required visa fee for Indians to travel to Japan is – INR 460.00 both for single or multiple entry visas. An application is not refundable once paid and visa application fee can be changed at any time. 1. Business visa: Applicant who is willing to travel to Japan for business has to apply for a business visa. This kind of Japan Visa allows them to do business negotiation, market research, meetings etc. This visa will be valid for 90 days and time period can be extended in case of more time required for negotiation or market research etc. 2. Work visa or Employment visa: Applicant who is traveling to Japan to work there as an employee the required entry passes for this is Work or Employment visa. This type of Japan visa is given for some kind of fields only which will be valid for a maximum of 90 days. 3. Friends or Family visa: Applicant who travels to visit to meet his/her friend or family member in Japan is required to apply for Friends or Family visa. This type of Japan visa helps them to travel to family/friend in Japan. 4. Japan tourist visa or Short-term tourist visa: If the applicant is willing to travel to Japan for tourism purpose then he/she has to apply for Japan tourist visa or temporary visitor visa. Applicant should have a passport with at least two blank pages for Japan visa, applicant’s visa must be on valid period so that it can increase the period of visa applicant is applying for. Completely filled up visa application form along with applicant’s signature. Proof of sound financial condition to help himself or herself during the period of stay in Japan. Proof of round-trip Flight tickets booking along with the itinerary for the entire stay in Japan. Applicant has to provide an official statement of his or her financial condition from the bank of last 6 months. Applicant has to provide a clean certificate from the police. It’s very convenient to check the status of visa nowadays. An applicant can check it online by visiting the official website. To check the online status of Japan visa you have to register yourself thereby giving some of basic information passport number, date of birth and some other related information. To login there you require Application ID and Password. Tracking your visa status is very easy nowadays. As from the above information you must have collected enough information that what are the requirements? What is the process? How to check online status? Even if you find any doubt you can contact visa triangle expert visa consultants. We can also help you out with services like health insurance, travel insurance, flight booking, hotel reservations etc.